Canberra’s own independent pharmacy, owned by principal Colette Needham. Colette has a keen interest in the community and a philosophy of establishing a long term relationship with you and your family to ensure the best possible health outcomes. Ainslie Pharmacy takes pride in providing excellence in service to the community. 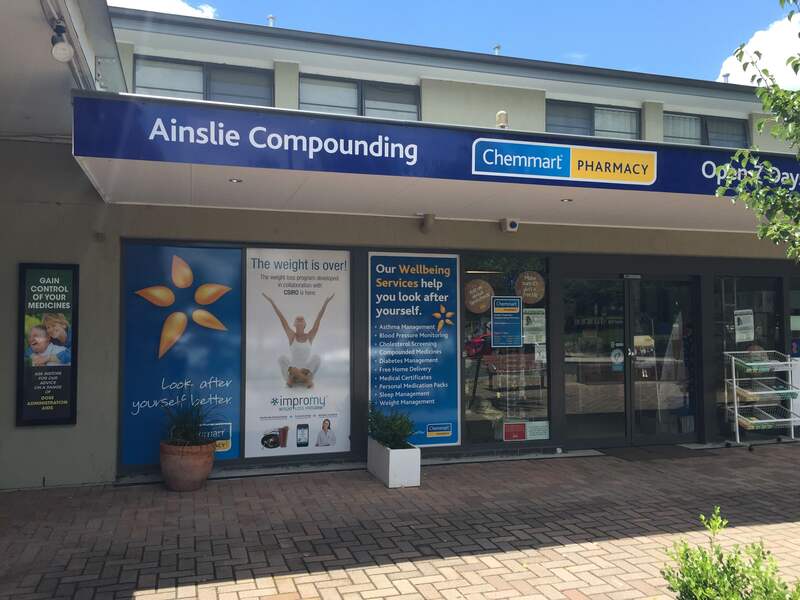 Ainslie Pharmacy is a Quality Care Accredited Pharmacy having successfully completed the stringent Pharmacy Guild Of Australia accreditation process. blood pressure monitoring and diabetes education. Ainslie Pharmacy is located in the Ainslie Shopping Centre. The centre has 2 medical practices, an ophthalmologist, dentist, pathology collection centre, physiotherapist, counselling service, IGA supermarket, 2 hairdressers, bakery, real estate agency, clothing store, ATM, beauty therapist, a number of restaurants and a pub. Free parking is available at the front and rear of the shops and wheelchair access is available.